← Eventide announce their new “Phaser Mk2″ plug-in ! 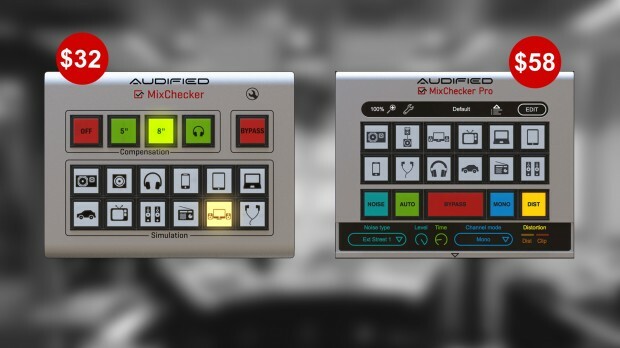 Effective today Audified is running cost-cutting promos on their MixChecker Pro at only $58 (List $149) and MixChecker at $32 (List $79). These ultimate mixing assistants will help you to get better mixes instantly. This entry was posted in DontCrack, Plug-ins, Promotions and tagged Audified, Mix playback simulations, MixChecker, MixChecker Pro, Mixing tools. Bookmark the permalink.